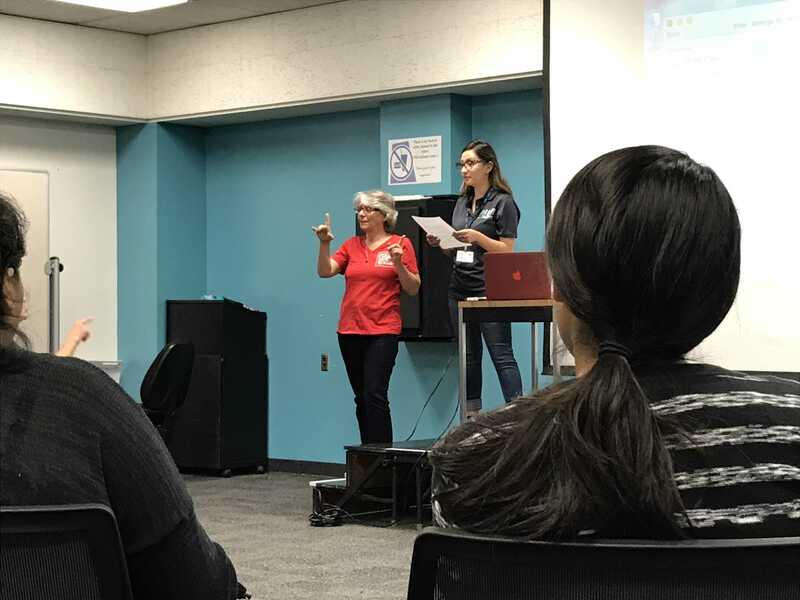 Deaf and hard of hearing students are twice as likely to be sexually assaulted as their hearing counterparts, according to CSUN counselor Dr. Alison Freeman. Freeman said this is partly due to the uncomfortable conversations about sexual assault that parents of many college students, including those of deaf students, avoid having. “First year college students are at the greatest risk of sexual assault,” Freeman said. Freeman pointed specifically to a study that found 25 percent of college undergraduate women reported being sexually assaulted, and 56 percent of deaf and hard of hearing students reported the same. “And that might even be low,” she added. Self-defense instructor Peggie Reyna said that many people who assault a deaf and hard of hearing person assume that the survivor cannot report it. Reyna is in involved with Peace Over Violence, an organization which provides services to such survivors. Freeman also emphasized the importance of holding on to drinks at social events, and not accepting drinks from strangers or from a source where it is unclear how the drink was made. She also said this includes drinks other than just alcohol, such as sodas. “The drugs are often colorless and tasteless,” she said. The discussion was followed by a workshop instructed by Reyna on how to escape attackers. Reyna stressed the importance of being aware of one’s abilities and being assertive rather than aggressive. “What’s really important here is, ‘Yes means yes,’” Freeman said.